Stock status is current as of 4/26/2019 4:41 AMET. 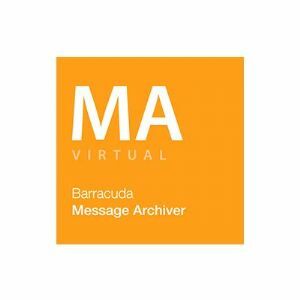 1 year Unlimited Cloud storage for Barracuda Message Archiver 350Vx. Scale-Up by extending the archive into the cloud for off-site, long term, cost-effective storage. Setting policies in "Mirror" mode replicates all data to the cloud for backup and disaster recovery purposes. Setting the policy to "Rotate" mode allows the appliance to scale-up and use the cloud as a secondary tier of storage.